Only after completing a thorough inspection can we make the proper recommendations and provide a proper estimate. 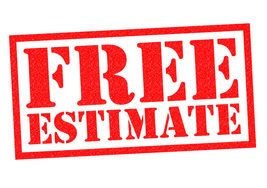 All of our roofing estimates include a free consultation with one of our roofing specialists designed to help select the right roofing components for your home or business. At Calgary Roofing Solutions we do not deal exclusively with any roofing manufacturer. From years of experience, we know which roofing products work best your particular roof and location. IKO, GAF, Owens Corning, CertainTeed, BP, Atlas, Johns Manville, Henry, Malarkey, Euroshield and Firestone are just some of the roofing systems we currently work with. We have a wide choice of colours and styles in shingles, asphalt shingles, wood shingles and shakes, metal roofs, concrete tile, slate and composite coverings. We walk you through the process of selecting the right roofing system to match your budget and individual style. Your roof protects one of your largest investments – your home or business. Because we only replace our home’s roof only once or twice in its lifetime – many homeowners are unsure what a new roof should cost. Based on our inspection – we provide you with a detailed description of all work that is to be done. Whether repair or replace - it includes a detailed list of all roofing materials, labour costs, supplies and debris recycle/removal necessary to complete the job on budget and on time. Removal and replacement/repair of existing roof. *Only two reasons that this could change. Changing the type or quality of your roofing material could increase or decrease the final price. We will always discuss any changes in pricing before proceeding. This is day we start work on your roofing project. Depending on the size and complexity of your project, a professional roofing installation can take anywhere from a few days to two weeks or more. Rainy and windy weather can sometimes cause delays. But with professional best practices and experienced onsite project management, the delays caused by inclement weather can be mitigated. The estimate includes complete details on all warranties and product/workmanship guarantees. In addition to the shingle manufacturer’s warranty we provide our own Workmanship Warranty as and added level of consumer protection. Shingle manufacturer warranties can range from 20 years for asphalt and considerably longer for premium roofing products. Our roofing specialists are fully insured and our work is guaranteed with warranties from the most reputable roofing manufacturers’ in Canada and the United States. 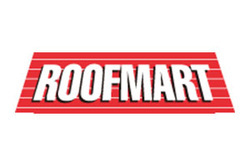 Please note that roofing system manufacturer warranties are normally pro-rated. Pro-rated warranties normally reduce with time. A roof with a 25 year warranty that fails prematurely after 10 years might only be reimbursed for the remaining 15 years. All estimates include complete details on our insurance coverage, government licenses and industry memberships. We accept all major credit cards – Visa, MasterCard and American Express. Your roof protects one of your largest investments – your house. Because we only replace our home’s roof only once or twice in its lifetime – many homeowners are unsure what a new roof should cost. Most product warranties are normally provided by the manufacturer of the roofing material. It is important to note that these limited warranties are normally pro-rated and designed to protect you against manufacturer defects that could lead to performance problems and roof leaks. Roofing manufacturer warranties normally cover materials only and not the additional cost of labour required to replace the roof. Keep in mind that labour costs can be as much as 50% of the cost of a new roof. Roofing manufacturer warranties are conditional on proper installation, design and regular maintenance of your roof. Research shows that proper roof maintenance can extend the life of your roof by up to double that of an unmaintained roof. While a manufacturer warranty is extremely important - it is highly unusual that roofing problems can be attributed to a manufacturing defect. It is far more likely that a shoddy roofing installation has caused the problem - voiding your manufacturer's warranty. Calgary Roofing Solutions stand by their work and provide a written Workmanship Warranty to protect you against any defects in workmanship. We abide by the Roofing Contractors Association of Canada guidelines that recommend a minimum of two years on all of our workmanship warranties. Ask us about longer workmanship warranties available. ​Shopping around for the lowest possible price – sometimes ends up becoming your most expensive option. When leaks appear - an improperly installed roof can void the manufacturer’s shingle warranty. Re-doing a roof can ending up costing double your original estimate.